The ranks of Promoted Tweet fans have been steadily growing as more businesses have found successful ways to use the ad platform. 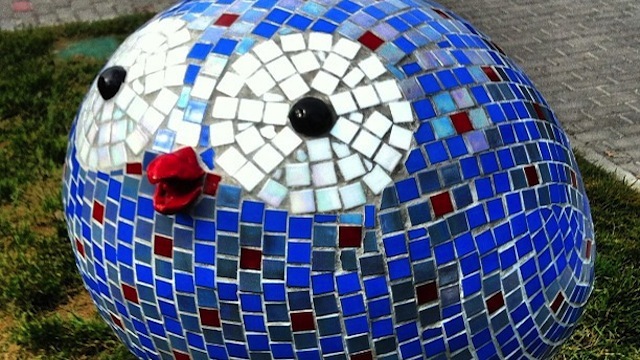 With a little creativity and some expert advice, any company can boost its sales and engagement across Twitter. Good, sharp writing is crucial to any great Twitter account, but it’s extra important to hit all the right notes with a Promoted Tweet. Your existing followers will know what to expect from your feed and your content, but a Promoted Tweet goes out to a much broader audience. The challenge is to spark the interest of new potential customers and encourage them to take a specific action. How do you accomplish all that in such a small space? Here are a few examples of Promoted Tweets that showcase the best of this innovative advertising tool. President Barack Obama took social media by storm with his 2008 campaign for the White House, and he has remained a savvy user of Twitter since then. 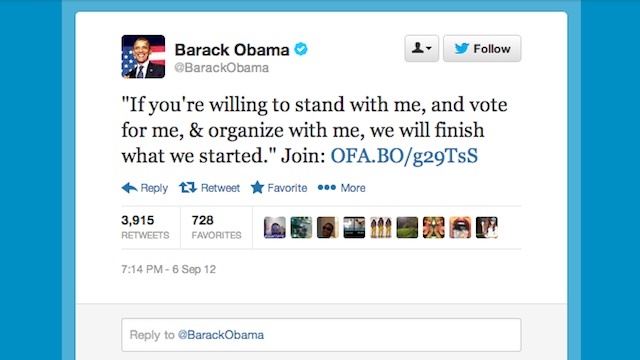 During the 2012 election season, his campaign made smart use of Promoted Tweets for generating vocal support. One great example of this was a tweet that was published the night he secured the nomination at the Democratic National Convention. At the moment that he finished his acceptance speech, the above call to action appeared as a Promoted Tweet. This decision capitalized on the recent trends for political involvement on social media. Pundits and voters alike have more and more frequently turned to the real-time platform of Twitter for sharing news and information. The content of the tweet had been used before by Obama and his social team, but the Promoted Tweet had a very strong response: 3,916 retweets and 729 favorites. For businesses, the lesson here is that timing is everything. Twitter moves at a break-neck speed, and calculating the best time when you will have the largest possible audience is a good step toward knocking it out of the park with your Promoted Tweets. Use your analytics and your intuition to pick out some of the best times for engaging with your target audience. This nominee for a Shorty Award found success by coupling two of Twitter’s paid products. 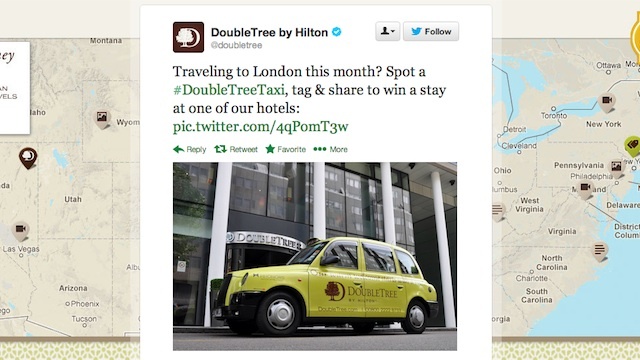 DoubleTree used Promoted Tweets and a Promoted Trend to spread the word about a contest promotion. The hotel chain hired iconic London cabs to carry branded promotions. Any people who saw these special cabs could tweet a photo with the hashtag #doubletreetaxi to be eligible for a prize. The campaign performed much better than other efforts by DoubleTree, with its Promoted Tweet generating 605,191 impressions and 12,706 clicks. Engagement with the Promoted Tweet was two times higher than another campaign by the company, according to its Shorty Award submission. Along with the holistic approach of this campaign, the reason it worked so well was that the DoubleTree social team was able to convey all the information clearly and concisely. For example, the tweet shown above included the location, the hashtag, and the prize, accompanied by a photo. That’s a huge volume of information to share, and the brand chose its words carefully to convey all the essentials without resorting to shorthand or abbreviations, which can come across as unprofessional. For your brand’s Promoted Tweets, be sure to spend enough time crafting your message so that it will be crystal clear for your audience. Show the text to somebody else on the team to make sure that the tweet isn’t confusing or boring. And of course, proofread carefully before you hit publish. Another important element of a successful Promoted Tweet is to make sure it has a clear goal for people who view it, In the case of DoubleTree, that goal was to get people to participate in a contest. Offering prizes gave readers an incentive to get involved, rather than simply gunning for retweets or direct mentions of the brand’s handle. Make sure that you have a definite action in mind for the bigger audience of your Promoted Tweet and craft the text so that they have a good incentive to take that action. There’s no rule that you have to be a top dog to make the most of Promoted Tweets. Video game studio Volition, makers of the Saints Row franchise, used Promoted Tweets to capitalize on the launch of a rival studio’s latest title. Rockstar Games released Grand Theft Auto V, a highly anticipated installment in the popular and lucrative franchise, in mid-September. The title is often abbreviated as GTAV among fans of the blockbuster game. Volition created a new downloadable content package for its most recent title, Saints Row 4. The DLC was titled “Gat V,” after the surname of game character Johnny Gat. 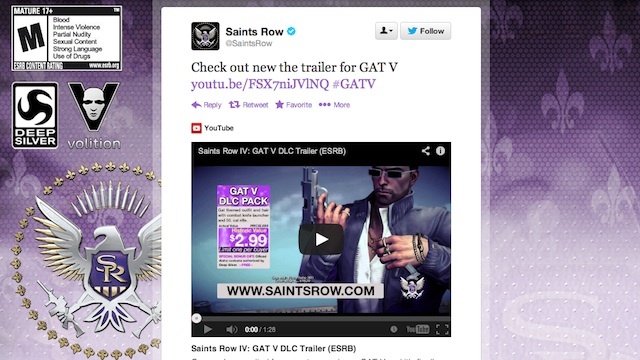 At the same time as the Grand Theft Auto V midnight launch, Volition and the official Saints Row account used a Promoted Tweet featuring the hashtag #GATV. It caused the Saints Row tag to trend across the network. People either assumed it was related to the Grand Theft Auto launch or realized that it was a competitor capitalizing on the existing buzz for the rival game and shared the tweet for laughs. Even several days following the initial launch of the Promoted Tweet, some people were mistakenly using the Saints Row hashtag to discuss playing the new game from Rockstar. The lesson with Volition’s clever Promoted Tweet — which simply called for readers to check out the new trailer for GAT V — is to know your industry. Pay attention to how your competitors are promoting themselves. And know what the major industry dates are. President Obama’s tweet (above), timed the promotion for the widest audience, but Volition’s had the biggest impact among a smaller readership. This wouldn’t have been as successful or noteworthy a campaign if it hadn’t very directly targeted the timely video game launch of another studio and hit the network at the same time. What’s the biggest impact you’ve seen from a Promoted Tweet? Let us know in the comments!